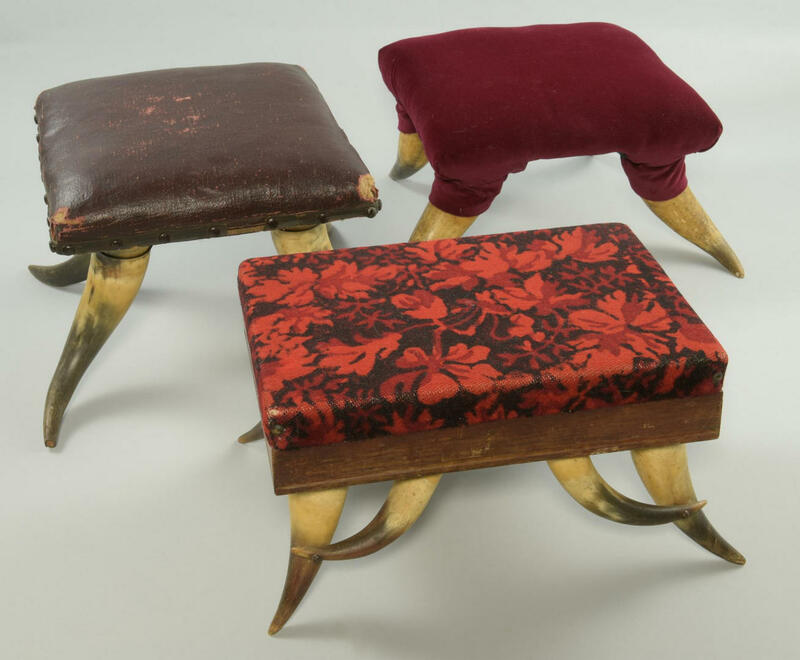 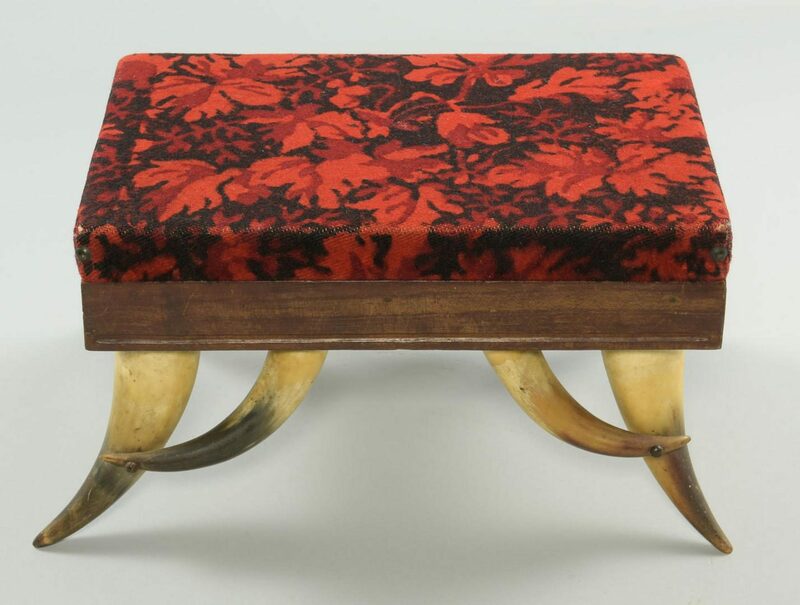 Grouping of three (3) horn stools, attributed to Texas, including two (2) square forms having four (4) steer horns anchored to a wooden base, one with a leather top and the other a burgundy velvet top and one (1) rectangular form having eight (8) horns anchored to a wooden base with black and red fabric top. 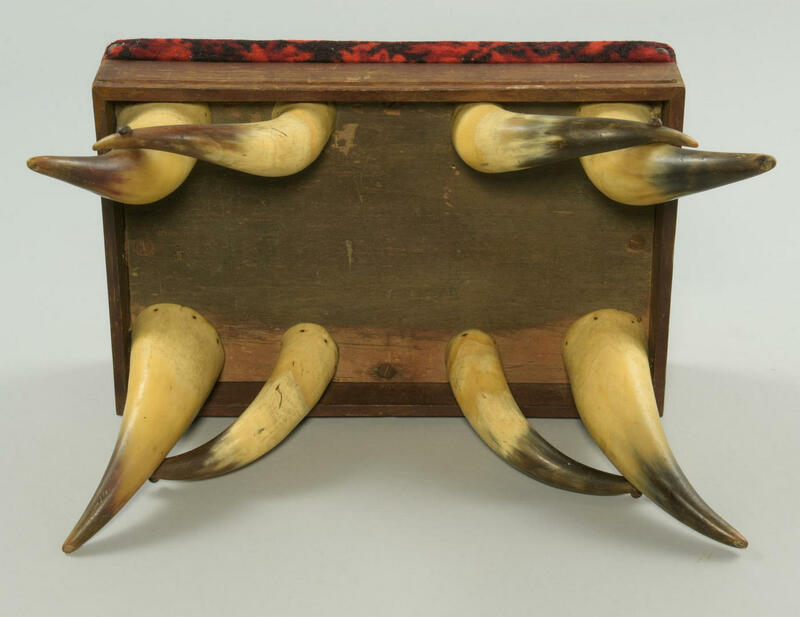 9" H x 14-1/4" W, 8" H x 11-1/2" W and 8-1/4" H x 13-3/4" W x 9" D. All late 19th/early 20th century.. 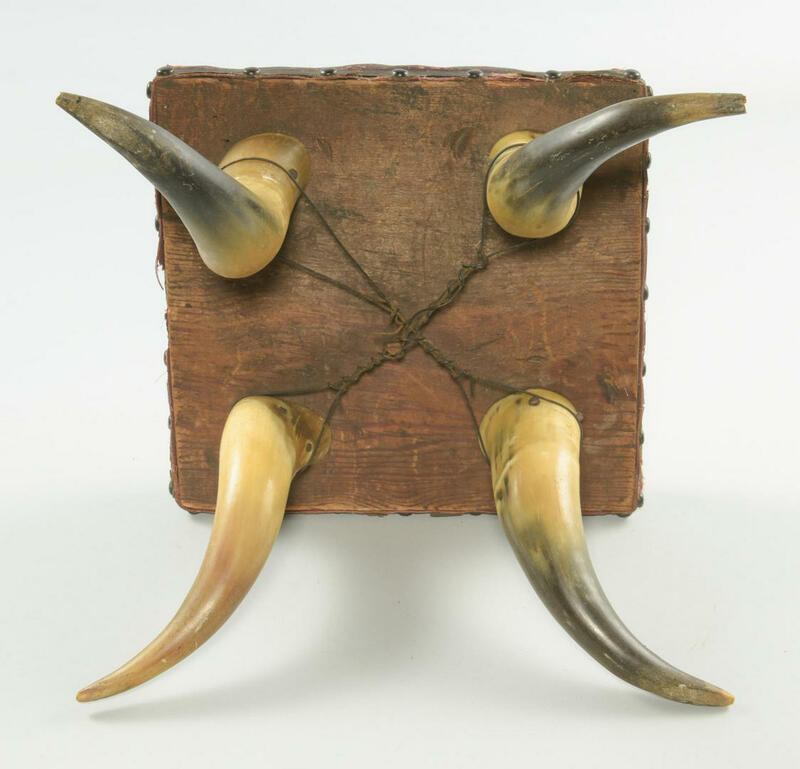 CONDITION: Leather example has wear to top, especially to corners and bottom of horns, wire added to horns for stability. 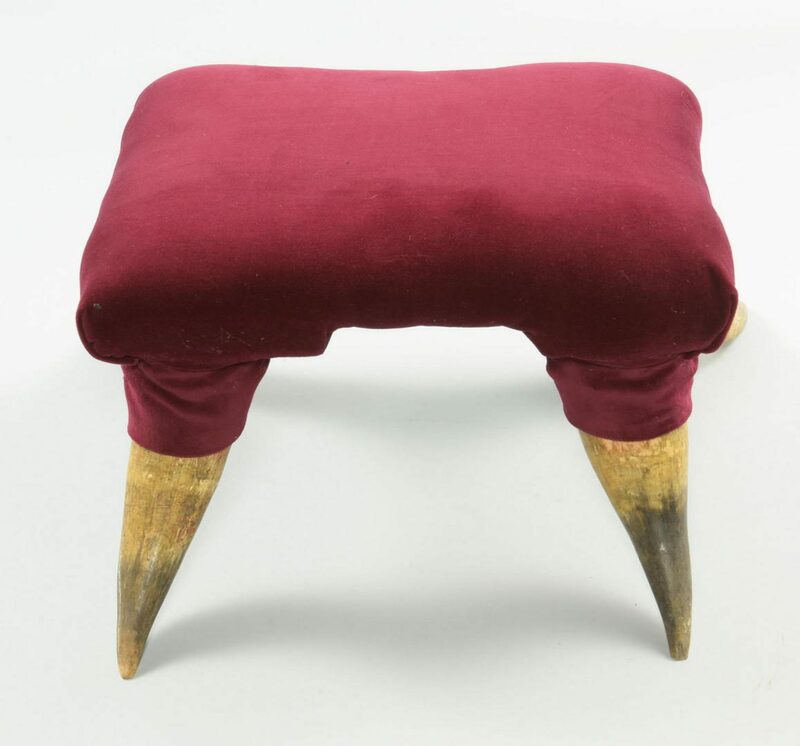 Burgundy velvet example with expected wear to bottom of horns. 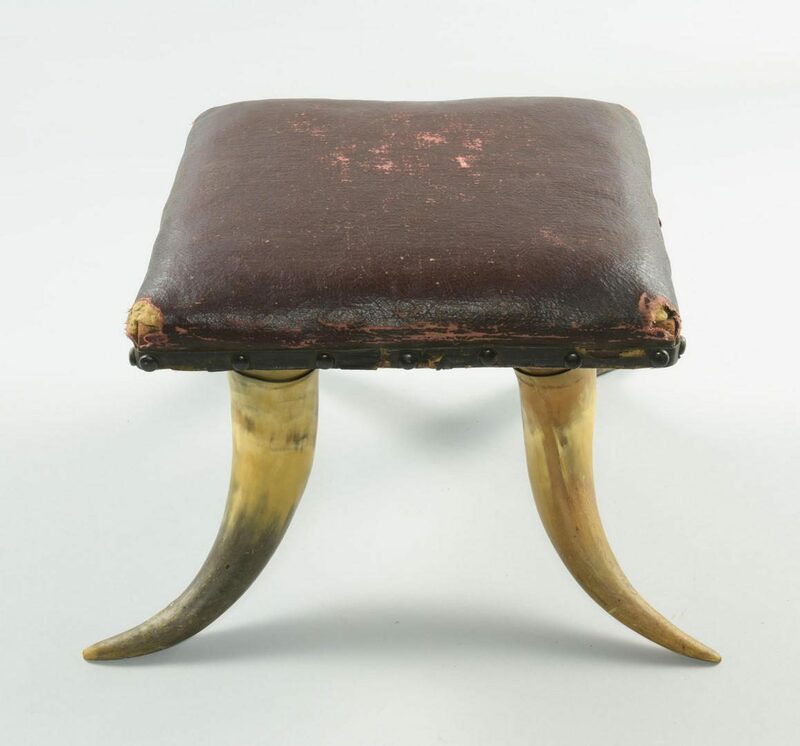 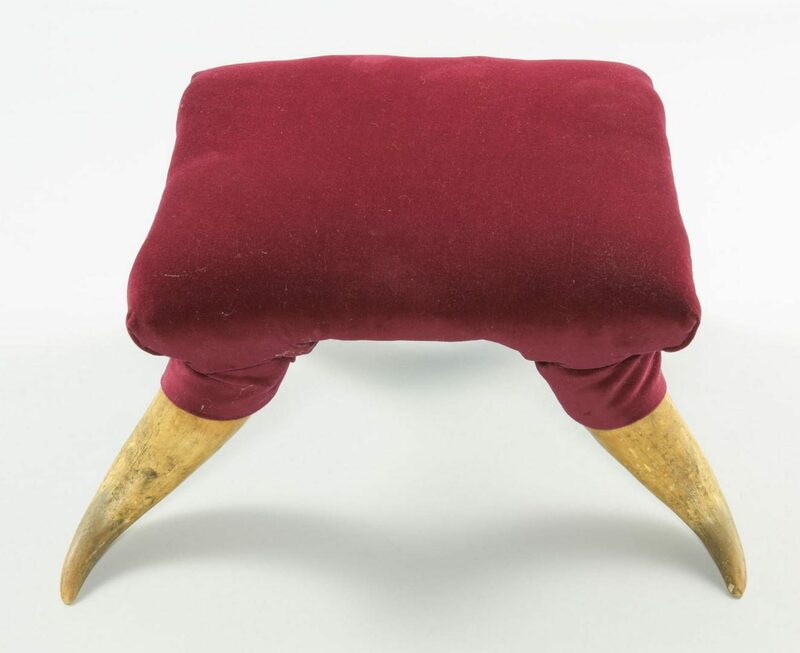 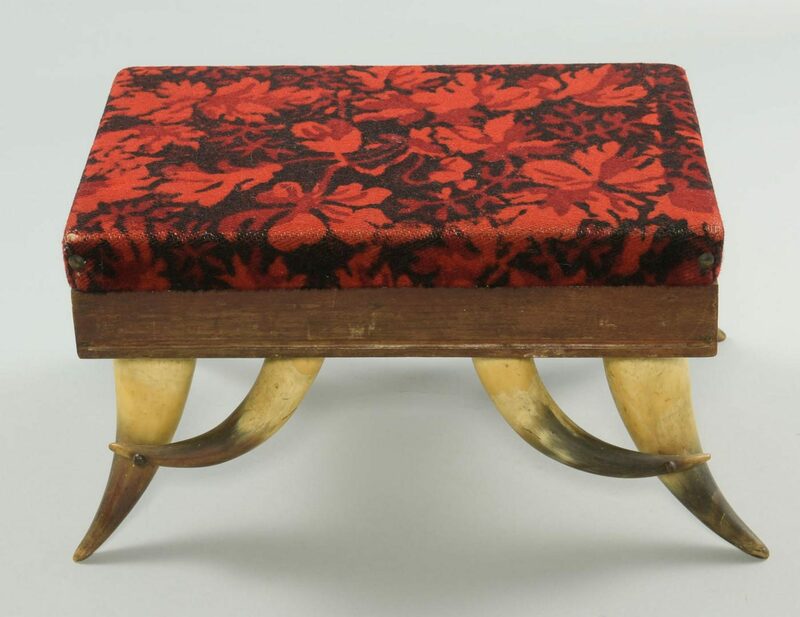 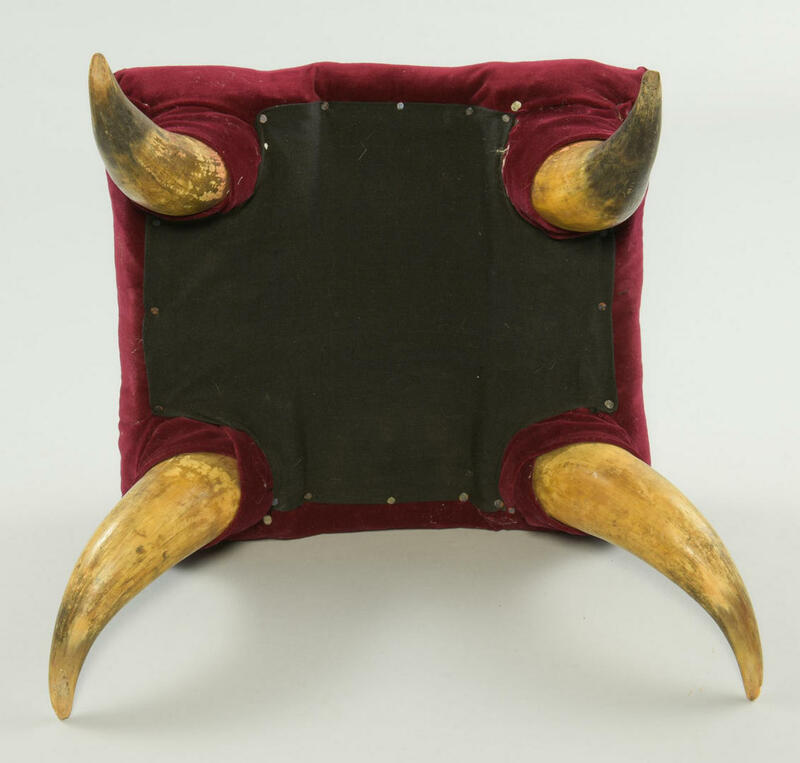 Rectangular stool with expected general wear to top and bottom of horns.